I busted my tail in beauty school from day one. Literally. Three months into beauty school I was hobbling around like I was 100 years old in terrible pain from a nasty case of bursitis in my hip joints. It was excruciating. I quickly learned that the bursitis was the first in many lessons I would learn about working in the beauty industry. It's not as glamorous as it seems in the pipe dream. Not by a long shot. While I'm not discouraging anyone from working in the field of cosmetology, there are a few things that I, and several stylists that I talked to, wish we knew about the "job" before we dove in head first. To be honest, despite everything on this list, a great hairstylist has so much passion for the work she does and the people she touches that the highlights of the job far outshine the lowlights (pun intended). Working in cosmetology can mean some pretty un-glamorous hours. People typically get their hair done when they aren't working, which means early mornings, evenings, and weekends are the norm. Early Saturday mornings are typical, especially if you get into wedding work, and working as late as 10:00 pm is completely normal on a school night. On the plus side, after you've put in your time and established a good solid clientele, setting more comfortable hours is an option, but rarely does a hairstylist get away from nights and weekends. If you thought the coffee was a complimentary service to the client, you were mistaken. It's keeping stylists everywhere awake. For bonus points with your favorite stylist: the gift of a great cup of coffee will probably make her day. "Major back pain from being too short, tightness in my cutting hand so bad to where I can't text very well, use a utensil to eat, or grip a shopping basket," were some of the aches and pains shared by hairstylist Audrey Sadler Holsinger. Speaking of your body hurting, I saved a special slot on this list for your feet, specifically. Not only will your feet ache at the end of a long day, but the stress you will put on your feet over years of work will take its toll. If you just have to be cute and wear heels to work, you will likely pay a heavy long-term price. Oh, and if you like to wear sandals or flip-flops, be prepared for your aching feet to also be harrying. So glamorous. Oh, the joys of coming home after a long day and shedding the hair of everyone you worked on all day long like a fairy spreading pixie dust. You'll find hair in the strangest places when you're a hair stylist including, but not limited to, the inside of your bra, your socks, your lunch, and your purse. But look on the bright side, finding a hair in your food at a restaurant becomes far less disgusting when you're used to being covered in it. Besides, you were likely the one that shed it, anyway. You will likely be the bearer of bug news at least once in your career as a hairstylist. Although I can say after over 7 years in the industry, I have yet to discover a case (I think I'm one of the few), I have had many clients come to me for head lice advice. Most stylists will tell you that they've discovered head lice many times in their careers. Ticks are another common bug to find on the heads of your clients, and it's important that you're prepared to remove them, should you find one. Speaking of hair everywhere, be prepared to pull hair slivers out of your skin. I learned about hair slivers (or splinters) one day, when I was trying to be cute early in my career, wearing high heel sandals to work everyday during the hot summer months. It was cute, alright, but what wasn't cute was the 3" piece of hair that I pulled out of my heel at the end of a busy week. Hair slivers are a real thing and often end up in your hands and your feet. They can be painful, and they can get infected. You'll quickly learn that as a cosmetologist, you'll need those tweezers for a lot more than eyebrow maintenance and tick removal. When we graduated beauty school I clearly remember the director of our school saying, "Congratulations! You are now a cosmetologist and a therapist." We all laughed, but he wasn't joking. There's something about styling hair that gets people to spill their guts about the details of their lives, and taking all the local gossip on can be stressful. Knowing about people's infidelities, drama, and the overall stress in their lives can be overwhelming on a stylists' brain. It can be a struggle removing yourself from all the drama. While the gossip train can be exhausting, you'll also constantly be in the know as a hairstylist. That can come in handy from time to time. At some point in the career as a cosmetologist, most stylists will venture off on their own and open a salon or rent a chair and run their own business. Running a business has been, by far, one of the hardest things I've ever done. Understanding where you money goes, how much to charge a customer, paying taxes, keeping expenses down, and finding room in the budget to pay yourself is a task I was not prepared for when I started. You'll also discover that everyone you've ever known will be eager for a free haircut. 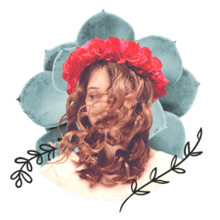 It's hard for friends and family to imagine that cutting and styling hair is "work," not to mention the way you earn a living, when it seems like such a fun and glamorous thing to do all day long. "My favorite is the kicking screaming toddler," joked stylist, Helene Kullen. Unfortunately, screaming kicking toddlers are not laughing matter in the hair salon. With time you'll learn to predict the punches, and with a little luck, no real blood will be shed. With that said, some of my favorite MMA haircuts ended with a hug and a sucker from my prize fighting little client. So dramatic! Personal space just isn't a thing when you work in cosmetology. There's a whole lot of touching going on when you're a hair stylist. Obviously you're going to touch people's heads, necks, and shoulders. What I didn't expect was all the elbow shots I'd get to the stomach and crotch, the awkward head to chest bumps that happen around a shampoo bowl, and the occasional clients that get creepy and feel like touching back. Not cool, touchy-feely guy. Not cool. When you're up close and personal with people, you get a first hand account of their hygiene. 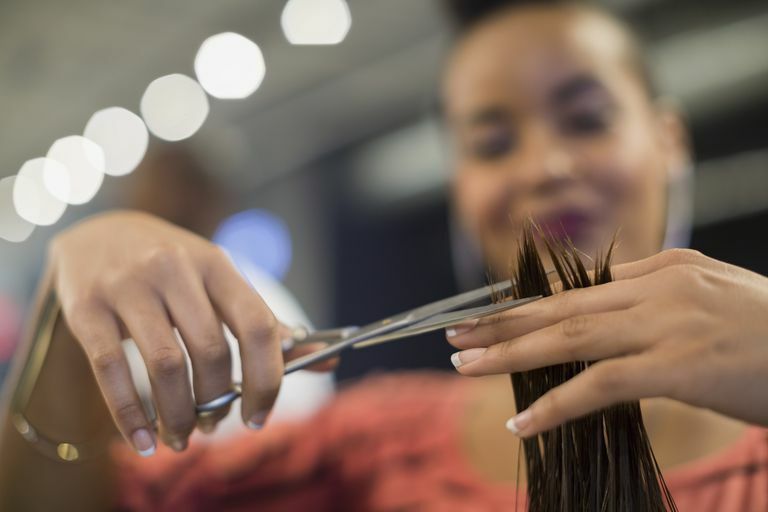 Hairstylist, Brenda Ramsey shared her biggest salon pet peeve, "there's always a client who has to chain smoke to the door, take a huge drag off their stink stick, only to lean them back in a shampoo bowl and have them start talking. Of course, it's between hacks and coughs in your face," she said. She's right. It happens far too frequently. Pro tip: free mints at your styling station is a great idea. Special thank-you to all the stylists that helped me put this article together. They are all top-notch dedicated hair stylists with a passion for the work they do, the people they touch, and the beauty they inspire.